At Flowers With Love, we offer a comprehensive floral design service. 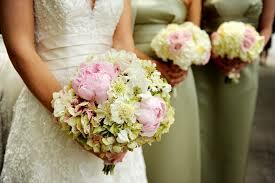 Florist wedding specialist Christie is your contact. 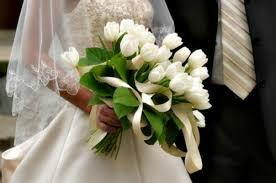 We create modern, beautifully crafted wedding bouquets, corsage & buttonhole creations, reception and ceremony flowers. Consultations are held between 9:00am – 2.00pm weekdays at our Idalia store and studio and are by appointment only. Unfortunately, weekend appointments are unavailable as we are typically on-site setting up weddings and events. To get the most out of our first meeting, it is helpful if you can email images prior to your appointment of your dress/bridesmaid dress styles/colours and any ideas or looks that you love. Our team can produce beautiful concepts for an intimate affair of 20, to a lavish celebration of 500. As well as creating the perfect flower designs for you that mirror your personality and taste − we guarantee your flowers will look exquisite for the entire day and night. It is important to remember that there are several variables which comprises pricing – including flower varieties & seasonality, design & construction time, quantity, containers & props, location etc. The prices are a guide to help you approximate costs.